The coquí is a famous and very abundant little frog whose powerful voice fills the Puerto Rican nights. The island is home to over a dozen other species of tiny and beautiful frogs, and hundreds and hundreds of species of insects, snails, lizards and birds, many of which live nowhere else in the world. 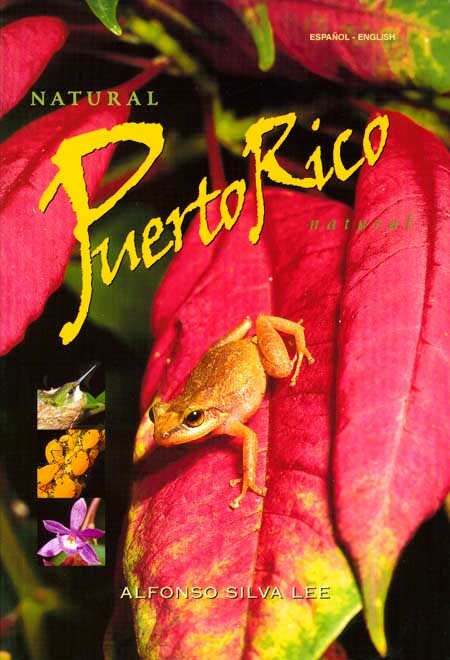 Here you will learn about the ways and lives of Puerto Rican animals, about how they came to exist, and why they are unique. You will also find out how these wonderful creatures depend upon the plants and upon each other; and what benefits bacteria, fungi and termites give to the forest. Many of these creatures appear photographed here for the first time. 128 pp 6.6" x 9.7"